On October 8, , Shelter Development publicly unveiled its new proposal to construct a 137-unit Brightview Senior Living facility on downtown properties currently owned by the Fraen Corporation. The facility would front on Crescent Street. Representatives of Shelter Development presented a general overview of the proposal at last night’s meeting of the Zoning Board of Appeals. Shelter Development and Brightview Senior Living are sister companies. Shelter is seeking Special Permits to allow it to build on properties that encompass 338 Main St., as well as 11, 15, 17, 19, and 21 Crescent St., all of which are currently owned by the Fraen Corporation, and 25 Crescent St. Fraen has expressed its preference to sell all its properties together to one buyer. A previous proposal to build a 140-unit Brightview facility in conjunction with a public parking garage was approved by a Special Town Meeting last February but later defeated in a Special Election and defeated again in attempt to revisit it at Annual Town Meeting last May. 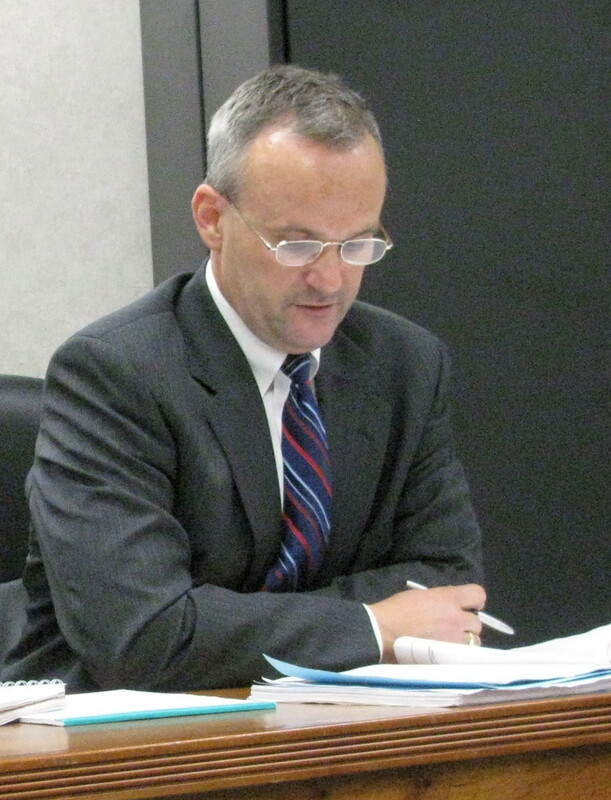 Representing Shelter, attorney Brian McGrail began by reminding the board and the public that the voters had twice voted in favor of assisted living at the proposed site. 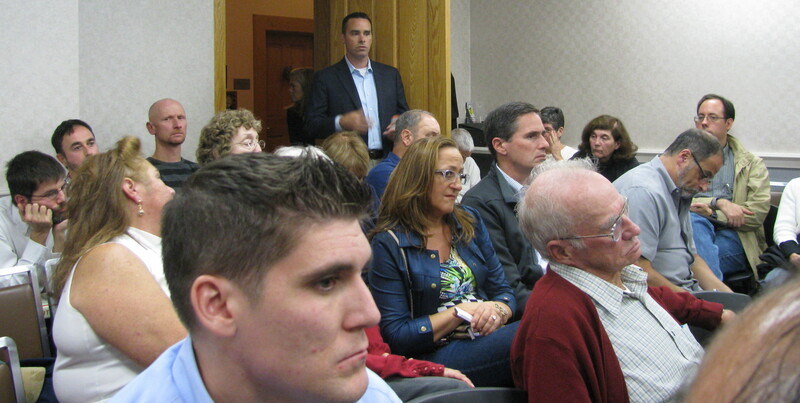 The first time, he said, was when Annual Town Meeting created the Assisted Living Overlay District on May 21, 2012. Town Meeting re-affirmed its wish for assisted living at the proposed location, McGrail maintained, when it rejected a move earlier this year to remove the Fraen properties from the Assisted Living Overlay District. McGrail asserted that Wakefield was fortunate to have a company like Shelter willing to invest $20 million in the downtown area. He maintained that the Brightview project would clean up some run-down properties and bring patrons to downtown businesses. He said that the town currently receives $65,000 in tax revenue annually from the properties in question, but would receive over $200,000 from a completed Brightview facility. He said that Shelter would also make infrastructure improvements related to drainage and sewer in the neighborhood at no cost to the town. McGrail noted that Wakefield currently has no assisted living/independent living options for seniors. He said that the 137 units in the new proposal would be about half assisted living and half independent living. Michael Glynn, Shelter’s Director of Development maintained that the proposed Brightview facility would be economically, environmentally and socially sustainable. He said that the downtown was ideal because people who are beginning to feel a loss of independence would be able to take care of some of their own needs without a car. He insisted that about half of the future residents of Brightview would have a direct connection to Wakefield. John Ogren of Hayes Engineering reviewed the layout of the project, noting that the main entrance would be on Crescent Street, with a separate access off Crescent Street to a 72-car parking garage under the building. Ogren touched on drainage and how utilities would be brought into the site. Architect Eric Anderson showed renderings of the proposed building as viewed from Main Street and Crescent Street but stressed that the drawings were preliminary and that he was open to ideas regarding the style of the building. Anderson said that because of the street grade, the proposed facility would be 3.5 stories tall on the Crescent Street side and 4.5 stories tall on the Main Street side, or about 48 feet high on Crescent Street and 60 feet high facing Main Street. Anderson also showed plans for each floor, showing the locations of assisted living, independent living and common areas. Traffic engineer Jason Plourde said that he had conducted a study and determined that the Brightview project would actually result in fewer daily vehicle trips on Crescent Street than currently occur. When the hearing was opened to the public, much of the testimony related to concerns about the size and density of the project. Several residents expressed a preference for a smaller facility, referencing what they said was an earlier proposal to build a 90-unit facility. McGrail said that he did not know where the 90-unit figure came from, but said that with the square footage of land area, 137 units would be allowed on the site. Selectman Brian Falvey, one of the proponents of the earlier Brightview Assisted Living/Garage facility, said that one of the reasons that the Assisted Living Overlay District was created was because of concerns that the likely alternative when Fraen sold those properties to one buyer was a 40B project over which the town would have little control in terms of size, density and appearance. Stanley Kolinsky of Eaton Street expressed concern about potentially increased traffic, noting that Crescent and Eaton streets are already used as cut-through routes where cars exceed the speed limit. 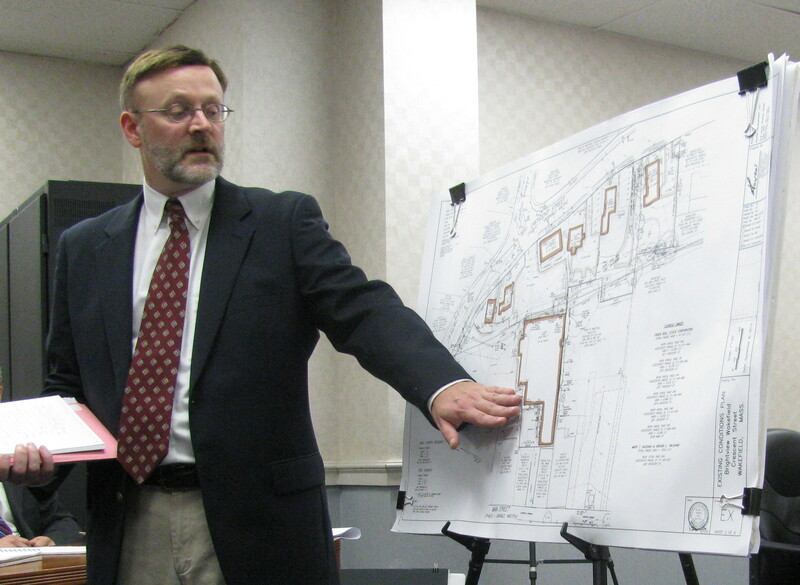 Representatives of the Wakefield Unitarian Universalist Church, a direct abutter to the site, expressed concern that the proposed facility would literally overshadow the church, blocking natural light from what they described as a very bright church sanctuary. They also worried that a lack of sunlight could also negatively impact the exterior of the 1850’s era structure. After hearing the proposal overview, ZBA members agreed that the best approach would be to plan on devoting entire hearing sessions to different aspects of the proposal. They plan on handling size, density and architecture at their Oct. 22 meeting, with a “working group” subcommittee meeting beforehand to begin the process. Other upcoming hearing sessions will focus on parking, operations, landscaping and traffic. 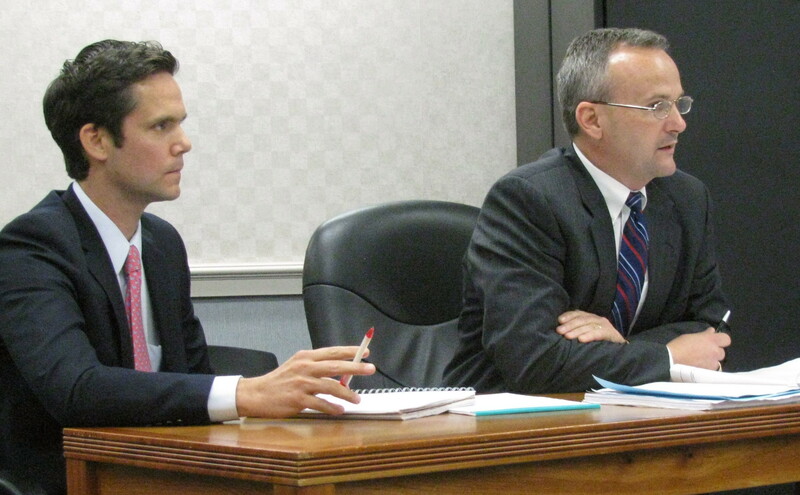 The hearing was continued to Wednesday, Oct. 22 at Town Hall, 1 Lafayette St., Wakefield, MA.